I love vintage things. The clothes, the furniture, the shapes and colors and prints of the past inspire me. 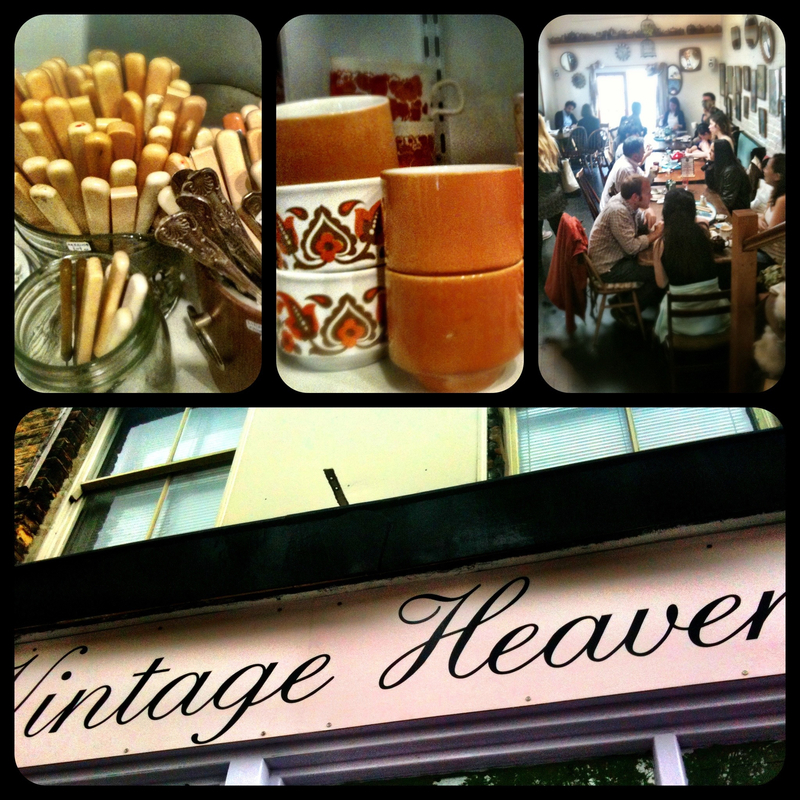 So I was delighted to find Vintage Heaven on Columbia Road in east London. Right past the famed flower market, the little shop is full of vintage dishes, kitchenware, and decor in the front room, and there is a cute cafe called the Pie Hole through the store and down a few steps in the back. The shop is only open on Saturday and Sunday, and they have a wonderful selection of beautiful and unusual vintage things. I saw piles of Poole Pottery tea sets, Bakelite handled silverware, vintage hardcover books, and tons of other lovely things. The prices are a bit high, but the shop is so beautifully curated, it’s worth a look even if its just to give you ideas of what to look for on your next visit to a thrift store or flea market. As sincere admirers of Katie’s blogs, photographs, and travels we at Wandering Genie are proud to count her as part of our community. Her work, experiences, and willingness to share with others that which she has learned exemplifies the core principles we are trying to foster. Travel alongside her via her Vintage style photos at http://www.katiespictureshow.tumblr.com or read her travel tips at http://www.stumblingintoparadise.com. Hope you enjoy her post as much as we have.